Xarelto® (rivaroxaban) was approved by the U.S. Food & Drug Administration (FDA) for post-surgical use in adult patients recovering from knee and hip replacement surgeries. After it was released in 2011, the blood thinner was approved for the treatment of blood clots in the veins of the legs (deep vein thrombosis) and lungs (pulmonary embolism), and was later cleared for use in patients with irregular heartbeats (atrial fibrillation). Xarelto works in all of these patients in the same way: by preventing the blood from clotting, it reduces the risk of clots traveling through the body and causing heart attacks and strokes. 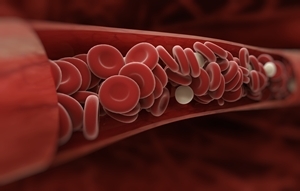 Although blood thinners can be lifesaving after surgery, anticoagulants are not without risks. The most common complication when taking anticoagulants is excessive bleeding, which is normally brought under control by administering an antidote. For example, administering a high dose of Vitamin K can reverse the effects of the blood thinner warfarin, allowing the blood to clot and saving the patient. However, there is no antidote for bleeding caused by Xarelto. Bleeding. The most worrying side effect remains the risk of uncontrollable bleeding after taking Xarelto. Not only can this bleeding occur suddenly and escalate quickly, it may lead to death in some patients. Patients who take Xarelto have a higher risk of bleeding if they also take certain medications, including those containing aspirin, non-steroidal anti-inflammatory drugs (NSAIDs), warfarin-containing products (such as Coumadin® or Jantoven®), heparin, Plavix®, selective serotonin reuptake inhibitors (SSRIs) or other antidepressants, or other drugs that prevent blood clots. Even if patients taking Xarelto do not suffer life-threatening bleeds, they will usually bruise more easily and suffer longer clotting times. Spinal blood clots. Although Xarelto is meant to prevent blood clots, some patients are especially at risk of developing a clot when taking Xarelto®. Patients who are receiving medications through a spinal or epidural catheter (an injection tube placed in the spine) can suffer epidural blood clots known as hematoma after taking Xarelto. Blood clots in this location can cause temporary or permanent paralysis in the arms and legs. Risks of this type of blood clot increase in patients taking NSAIDs, other blood thinners, or have a spinal puncture or have recently had surgery on the spine. Contraindications. In order to reduce the likelihood of bleeding, the FDA has recommended against Xarelto use in patients who have artificial heart valves, suffer from conditions that cause abnormal bleeding, have a history of liver or kidney problems, are pregnant or plan to become pregnant, or women who are breastfeeding. If you have suffered severe bleeding after taking Xarelto, we can help. The McGartland Law Firm has recovered multi-million dollar settlements for clients who have been injured by dangerous drugs, and we do not collect any legal fees unless we win your case. Contact us today using our online contact form or by calling the number on this page to find out how we can help.